Excellent for R&D, electronic and industrial facilities. Box and file drawers have full extension drawer slides. 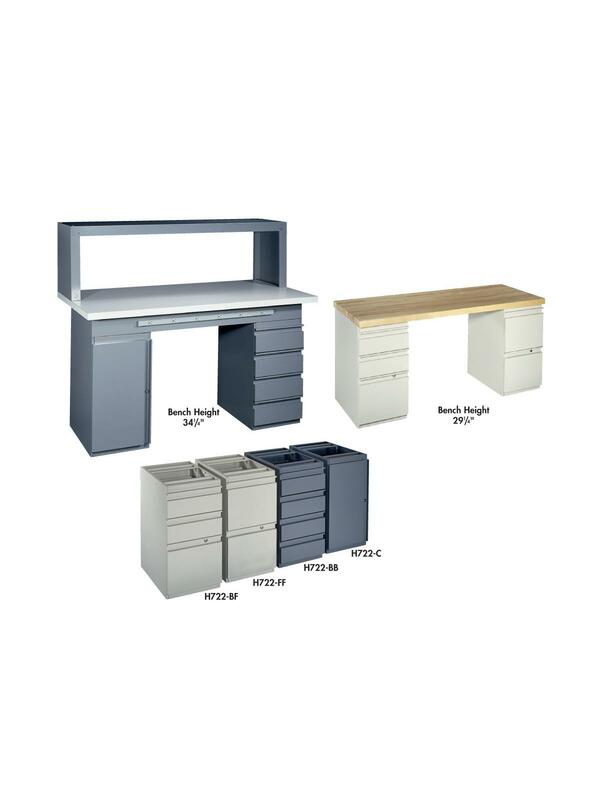 100% of the drawers are accessible ­-- rated at 125 lbs. per drawer. Ergonomic drawer pull is an integral part of the drawer front and does not protrude beyond the front of the unit. All file drawers have full height sides to accommodate hanging files. Locks standard on all units. Cabinet is equipped with one adjustable shelf. All units furnished with heavy duty leveling glides. Choice of maple, plastic or anti-static tops. Long lasting powder coat finish -­ available in the following colors; #49 Gray, Lt. Gray, Champagne, Black or Blue. 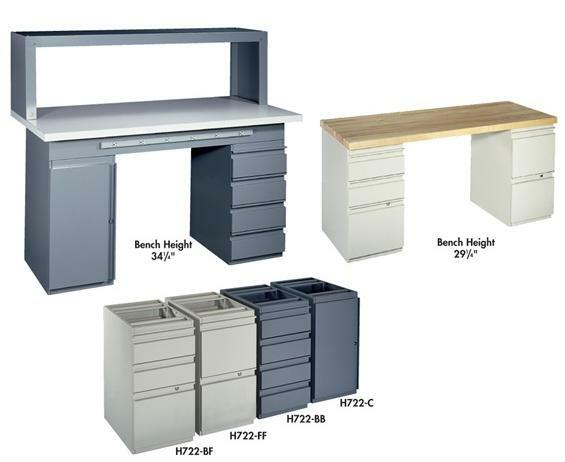 Base units measure 14-1/4"W. x 22"D. x 27-1/2"H. FOB Shipping Point. 14-1/4 x 22 x 27-1/2"14-1/4 22 27-1/2"